Can Leaky Gut be Healed? Leaky Gut – What is It? Thankfully, yes! You can repair leaky gut. In the second article in the series you learned about what causes a leaky gut. So, the first thing is figuring out what cause or causes you need to deal with. Of course, if you aren’t sure, then you simply go down the list working on each possibility. Most health food stores carry a variety anti-parasitic products. Make sure to read the labels for dosage and verify safety if you are expecting or nursing. Just to name a few 🙂 Again, check with your local health food store or your favorite herbal dietary supplements manufacturer and see what they have available. Follow the instructions on the product and double check any safety information. Food. Yep, it’s listed as a source of irritation and inflammation. This particular portion of healing leaky gut is typically the most difficult, because it requires you to modify your diet. For most people, this is not a small modification. The best is to follow an elimination / provocation diet protocol. fermented foods like sauerkraut or kombucha. These items especially help the body to heal the gut. as they tend to be common reactive foods for those with autoimmune issues. Make sure to chew your food thoroughly, digestion starts in the mouth. 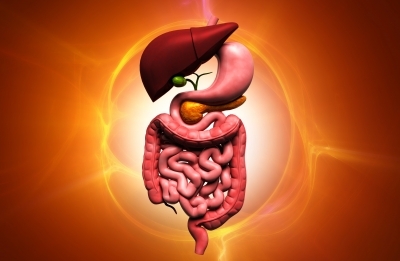 It may also be beneficial to take Digestive Enzymes as they will help the body digest the food and lessen the number of larger particles that could enter the bloodstream. Keep a food journal. If something you eat causes gas, bloating, indigestion, heart burn, headache, etc… – write it down and try avoiding that food. If you have had a leaky gut for a long time you may find that this seems to be the result of any foods you eat. But as the gut heals you will find fewer foods causing this response. The journal is especially important for the Provocation side of the diet. Once you feel your gut has healed (or you can have a blood test done at a lab to see if it is healed) you can start the provocation portion. This means adding foods back into your diet, very slowly, and watching for any sign that they are causing problems for you. If, after 5 days, you have not had any ill effects from adding that food back into your diet, then it is safe to assume you can eat that food again. However; if it gives you problems, you will want to consider that food one to avoid. Wait a couple days, and then try another food. Keep this up until you have tried all of things you removed in the elimination side of the diet. Sometimes the foods you react to will need to be avoided for life, but other times the gut just needs more time to heal and you might find after 6 – 12 months that the food no longer causes problems. For this reason, many suggest re-trying the problematic foods one more time, 6-12 months after following the elimination/provocation diet, just to double check. It is best to avoid OTC’s (Over The Counter medications) like acetaminophen, ibuprofen, etc… if at all possible, as these too can be triggers for inflammation in the gut. And last but not least – lower your stress levels. Chronic stress has been shown to cause many different issues in the body, and inflammation and digestive problems are definitely on the list. Try yoga, Tai Chi, meditation, walking, whatever it is that helps you decompress and destress! 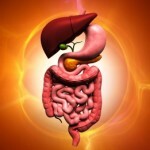 ← How do I Know if I Have a Leaky Gut? Heal Your Gut – 30+ Presenters! Happy Thanksgiving the AIP Paleo Way! “Leaky Gut” – What is it?